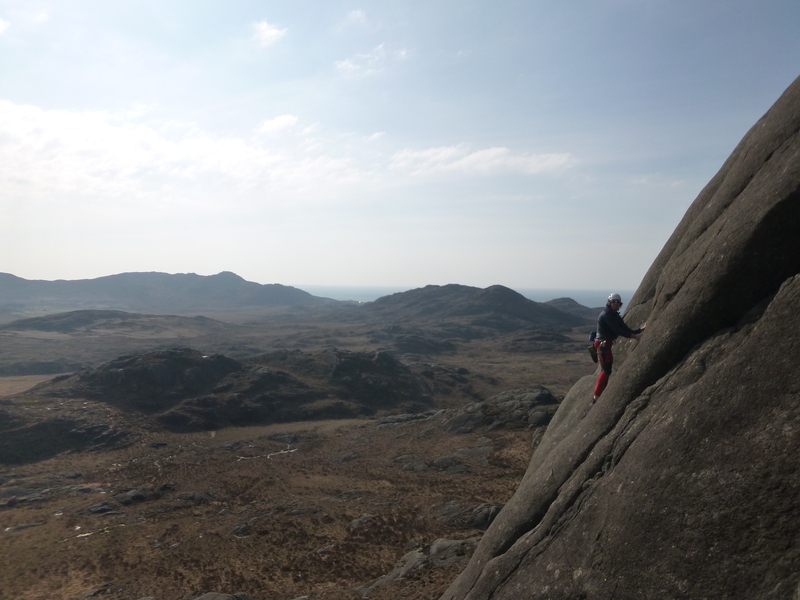 Just as I have been tying up my winter season and preparing a blog to round it all up, we have suddenly been blessed with a few days high pressure which meant it was time to get back out on rock. 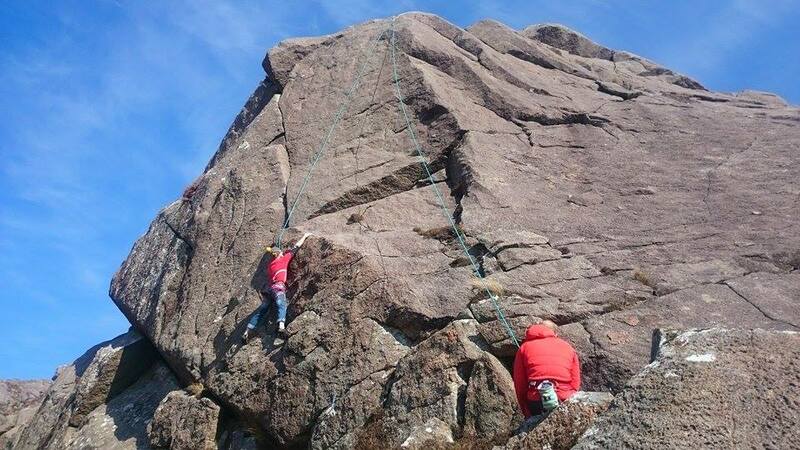 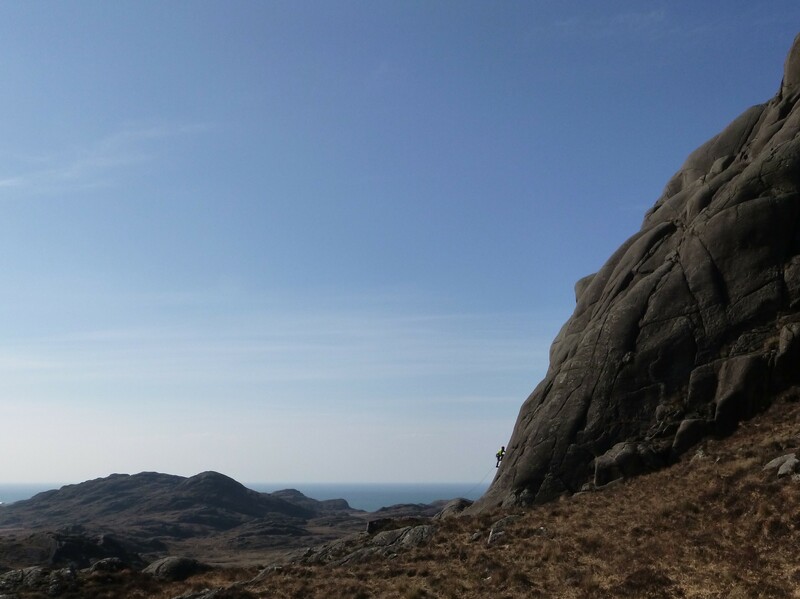 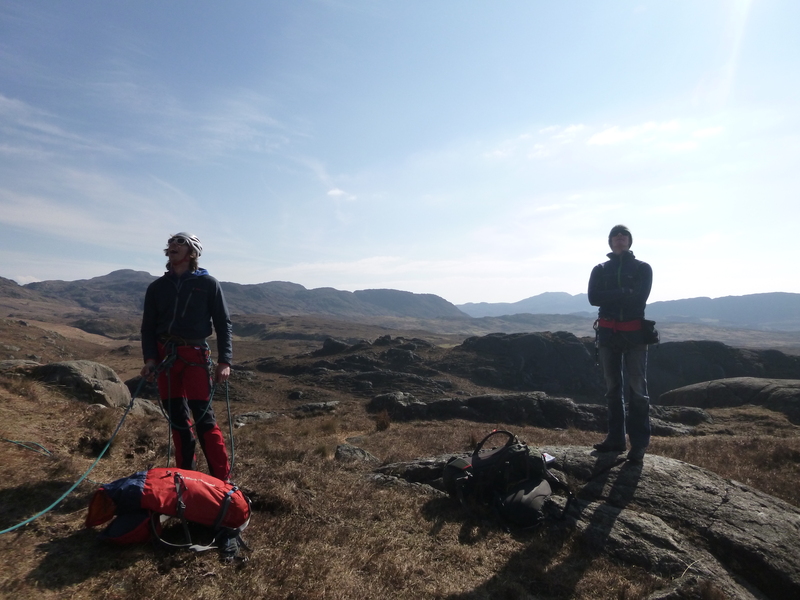 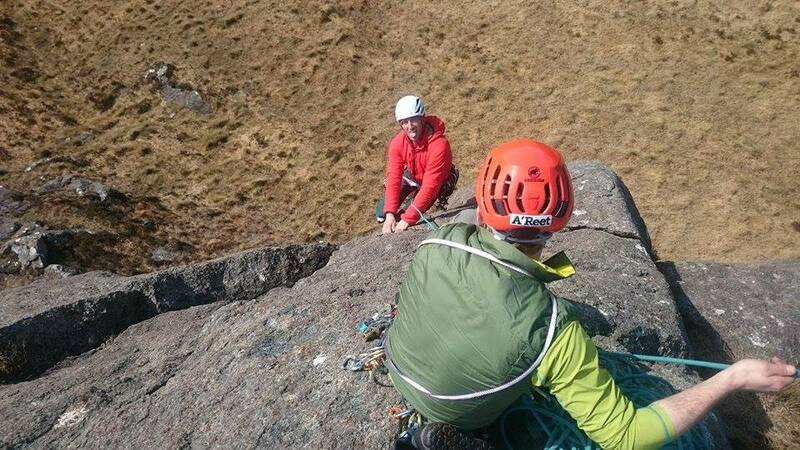 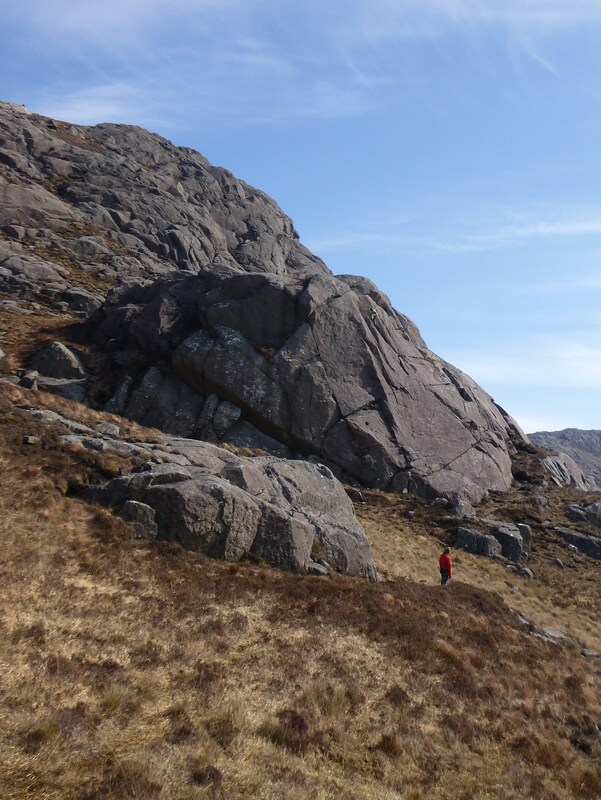 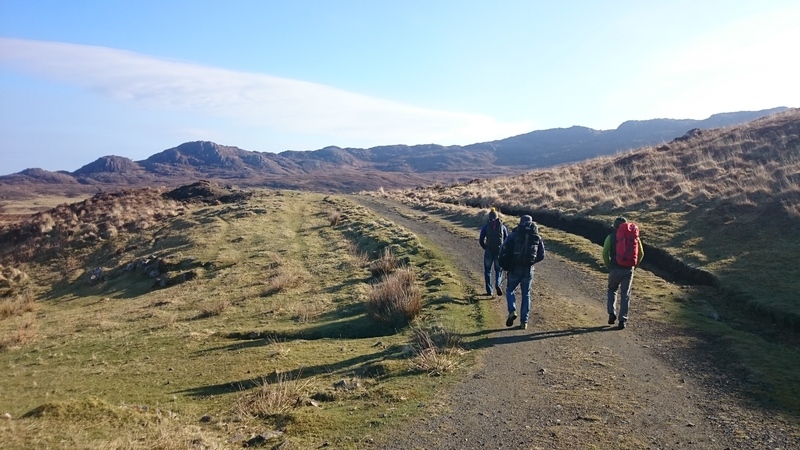 Ardnamurchan is somewhat of a friendly venue with excellent rough rock and plenty of variety through the grades all set in a sublime venue way out west from Fort William. 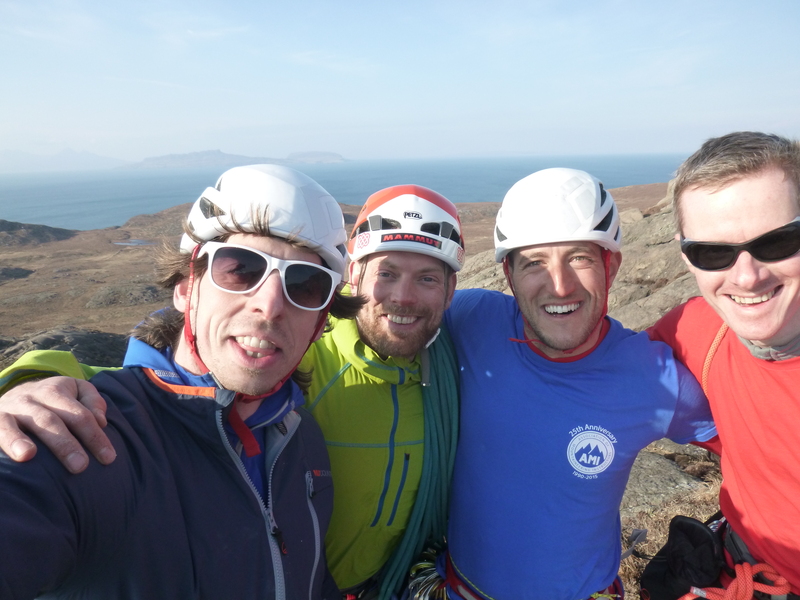 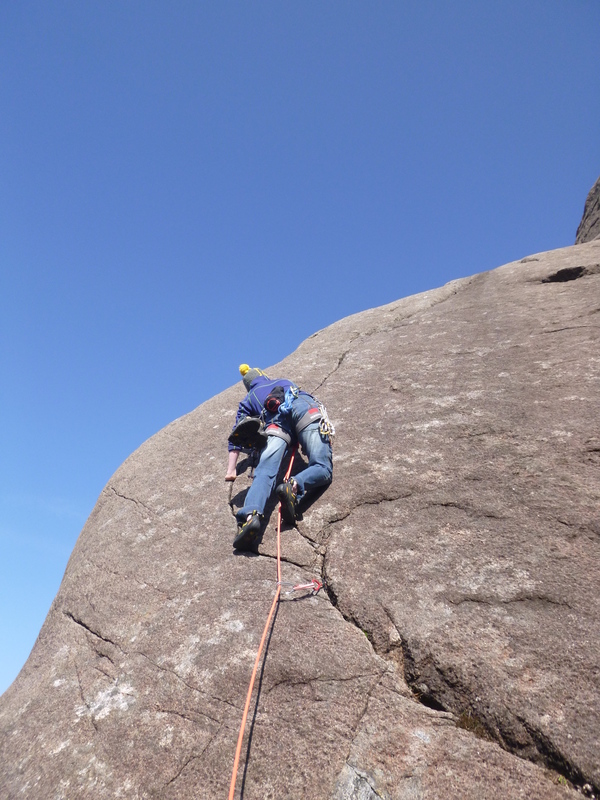 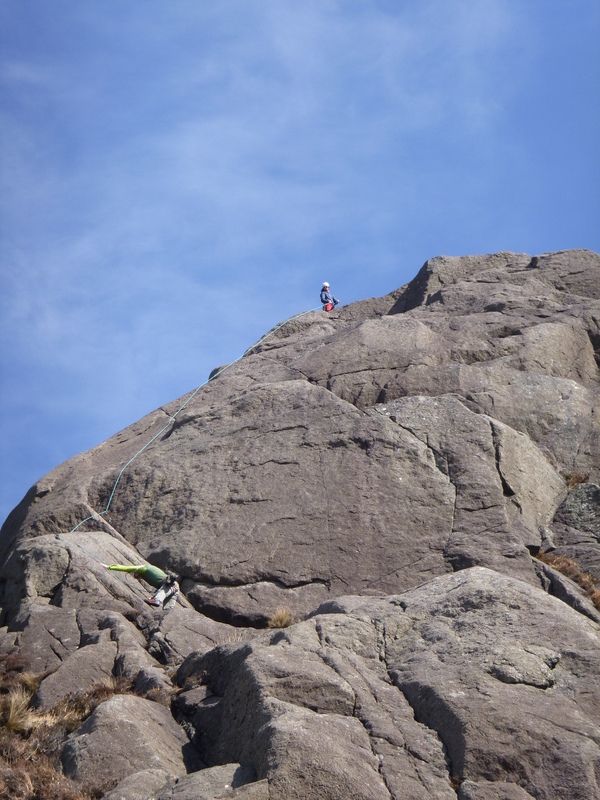 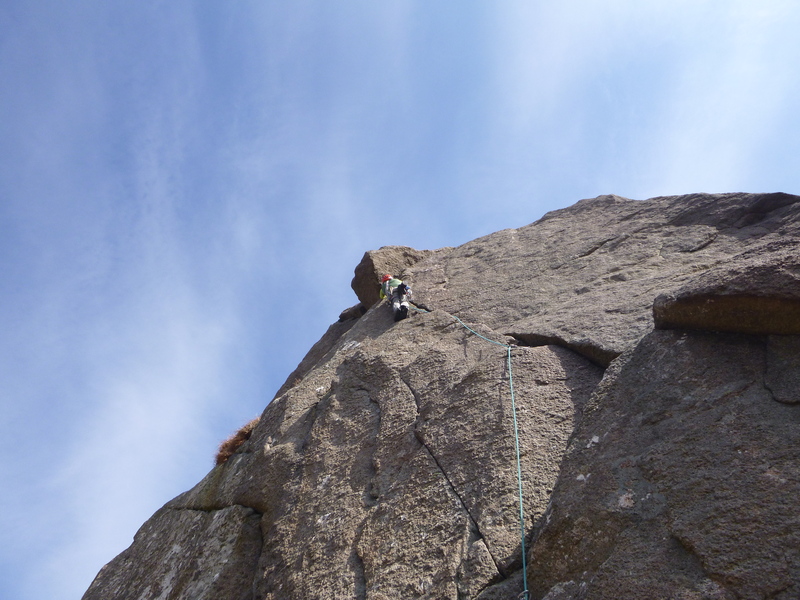 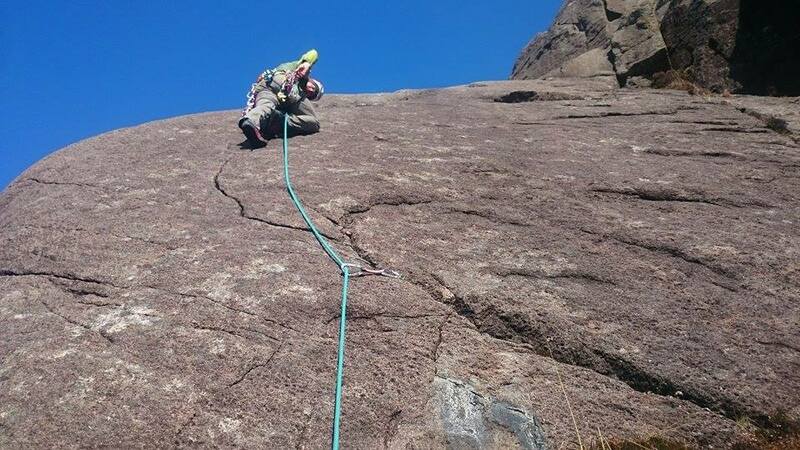 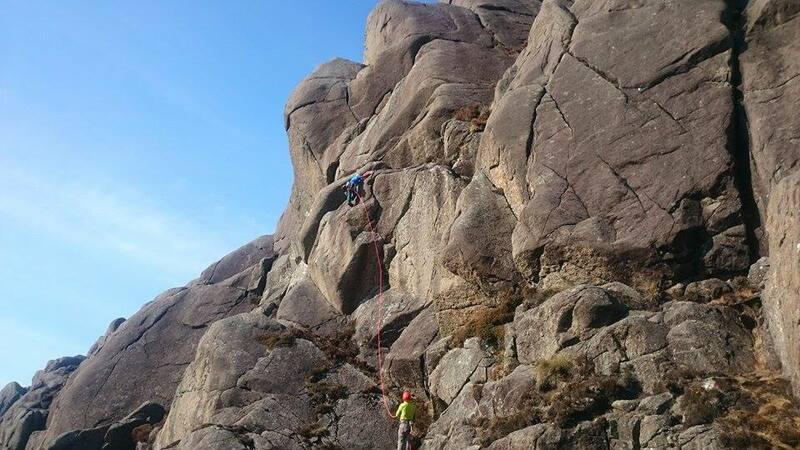 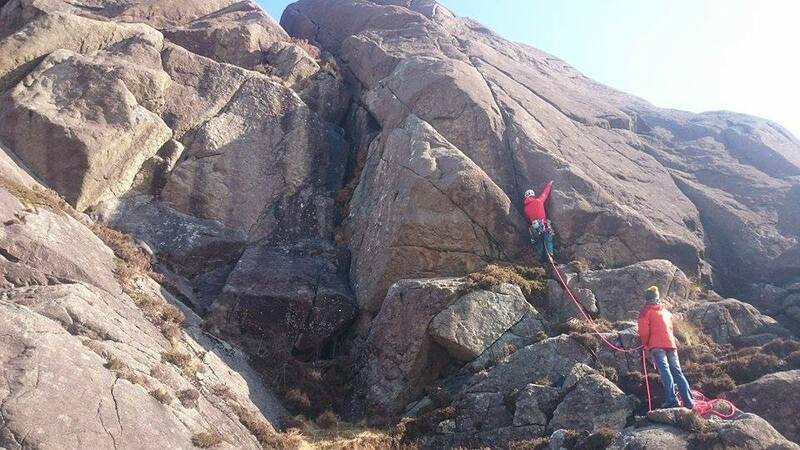 Between Kev, Joe, Rich and myself we climbed a number of routes including Yir (VS,4c), Volcane (E1,5b), Return of the Jedi (E2,5c), Up-Pompeii (E2,5b), Not today Dear (VS,4c), Claude (HVS,5a), Lava Lout (E1,5b) and Greta Gabro (VS,4b). 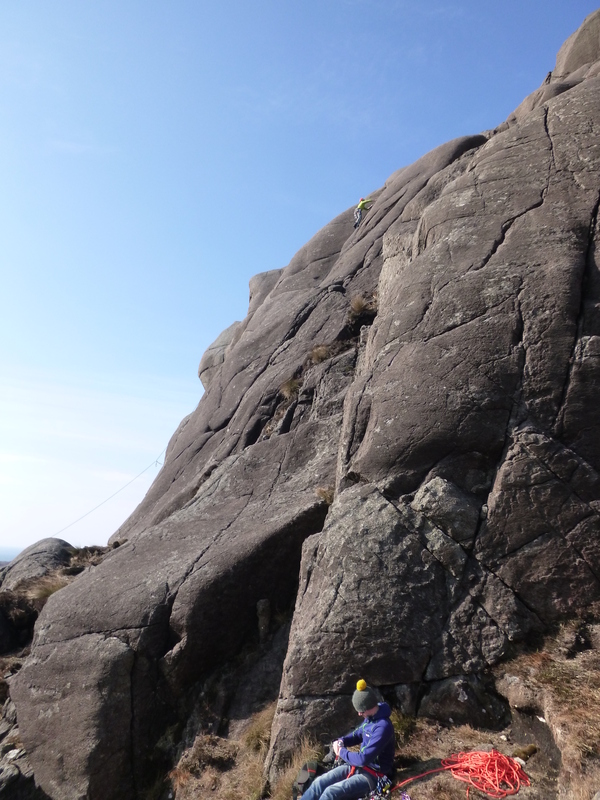 We also threw a rope down Subduction Zone (E4/5,5c) but it wasn’t to be today. 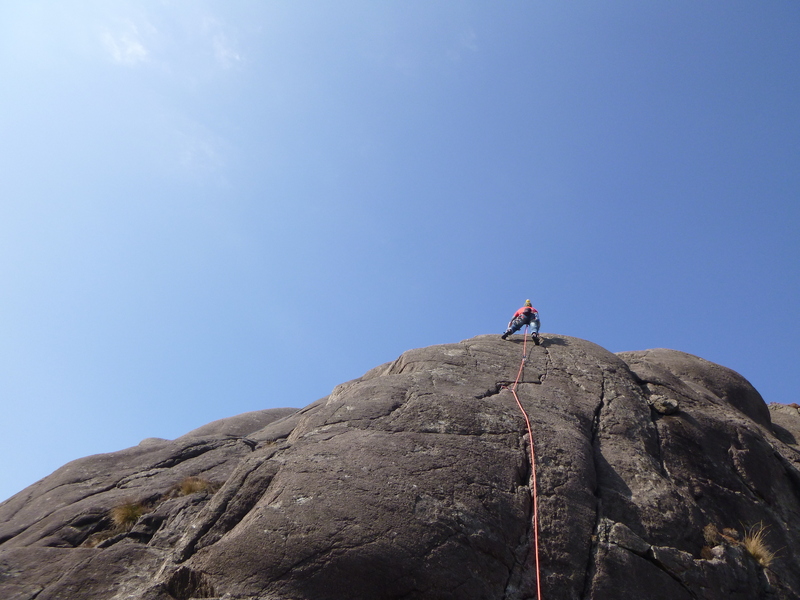 Great weather, routes and company – a sweet start to the season. 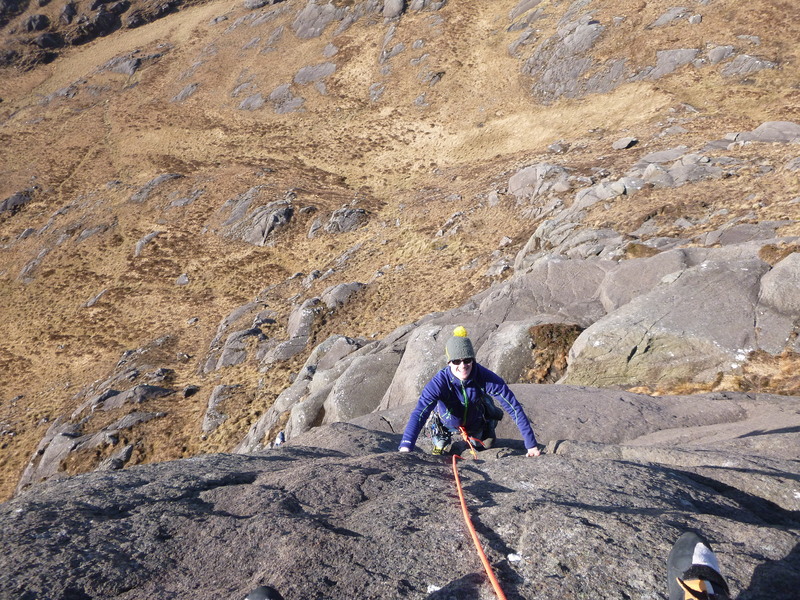 Rich on Up-Pompeii – in his trainers!